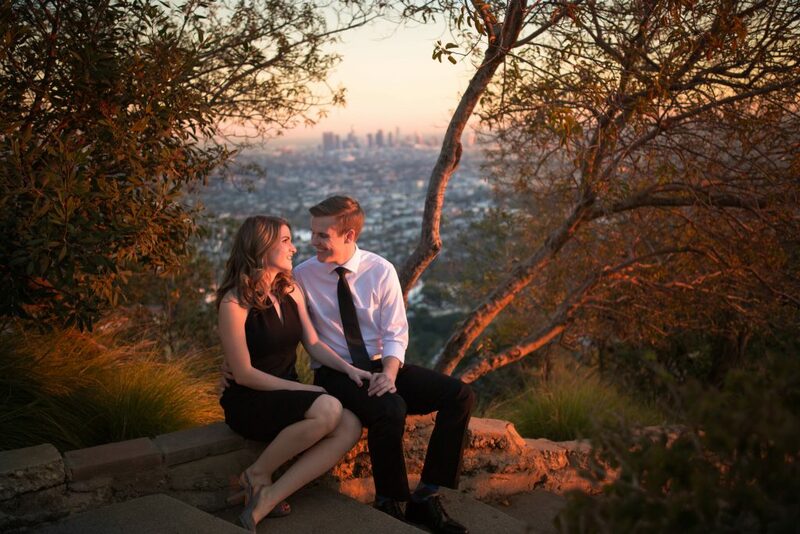 Their city of stars. The biggest filmmakers and artists of 2017 will descend upon the Dolby Theatre for the Oscars on Sunday, February 26, with one exceptional musical of the season predicted to sweep the 89th Academy Awards. 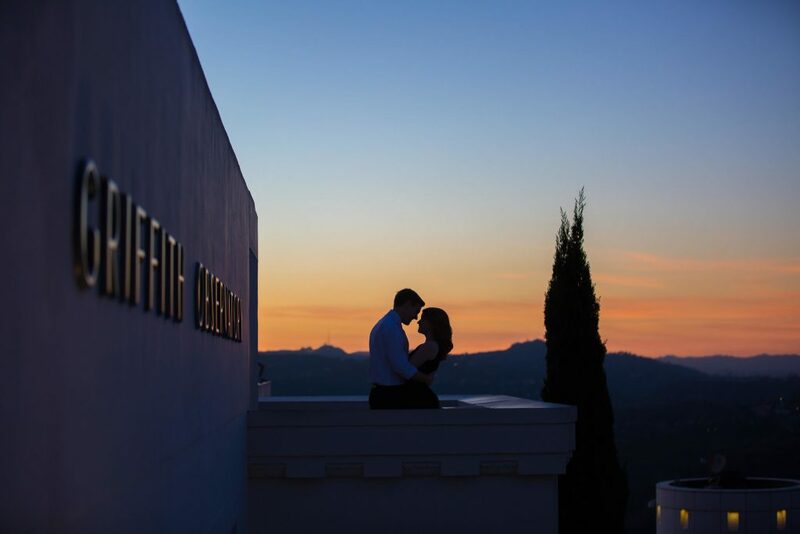 Ever since its release, Damien Chazelle’s La La Land–with its catchy soundtrack, dazzling dance sequences and gorgeous imagery–has inspired cinephiles everywhere, and now, an engagement session. 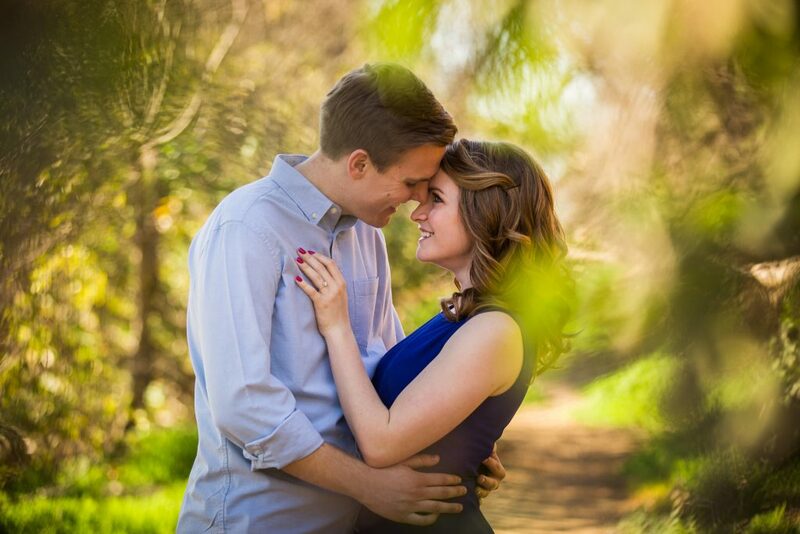 The couple first sourced Hartmann on The Knot. 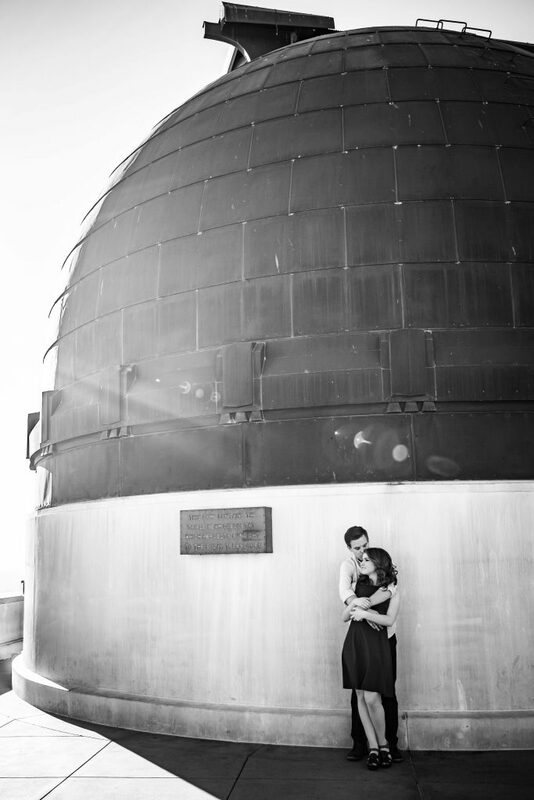 “We met up at Philz Coffee in Santa Monica,” Hartmann recalls. 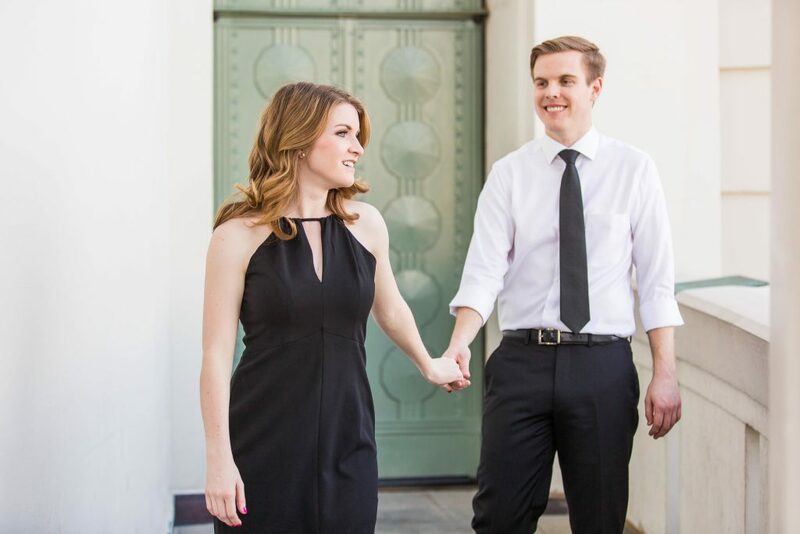 “They hired me to document their big day, and I was super excited because I knew they were such a wonderful couple and great fit as clients.” Eventually, the bride brought up a recent engagement session Hartmann had captured in Santa Monica. 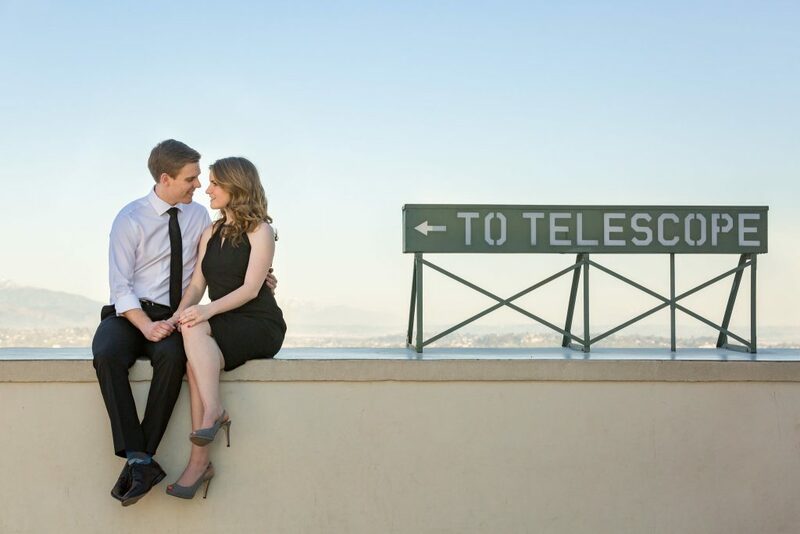 The pair decided they wanted their own special pre-wedding shoot, and it fell into place organically. There were, however, some unexpected challenges. “Our original plan was to shoot the entire thing in one day, but on our way to the shoot location in Griffith Park, my car literally broke down,” Hartmann recalls. 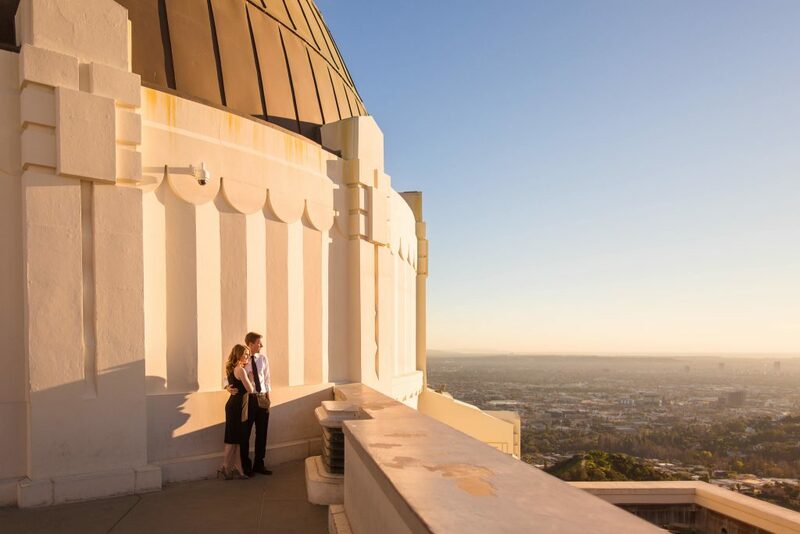 “So my boyfriend and assistant stayed with my car while I took an Uber up to the Observatory to meet the couple.” They had to reschedule the second portion for two weeks later. 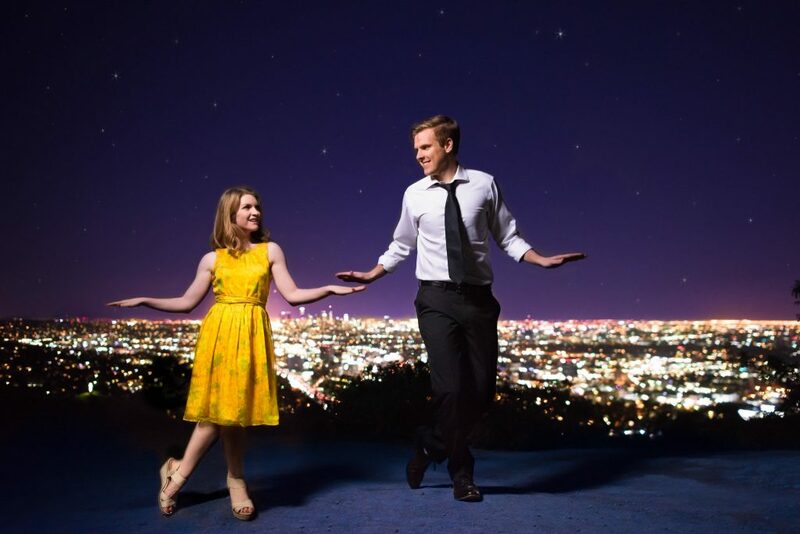 Later, Hartmann cautiously edited the images to reflect the La La Land aesthetic. “I enhanced the color tones [and the stars] so it would closely resemble the movie poster,” she says. 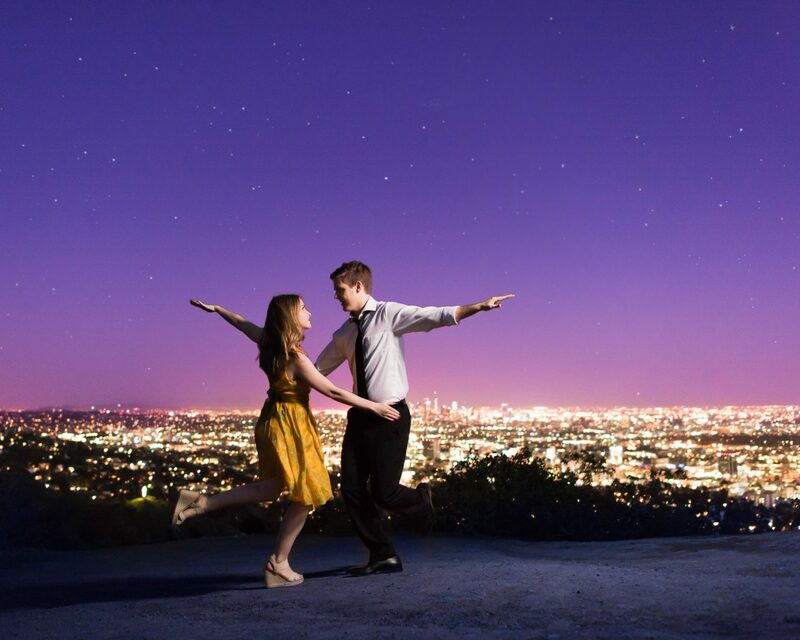 Be the first to comment on "These ‘La La Land’-Inspired Engagement Photos Will Make Your Heart Sing"